We found some super Christmas Blog sites out there (quite a few here at Googles Blogspot 🙂 and we wanted to let you know what you can find at some of the great Christmas blog sites. MyInkBlog has a post of tutorial links for you to create your own Christmas Wallpaper, Creative Christmas cards, Christmas Greetings Postcards, Illustrations, Glittery Postcards, a tutorial link for drawing Christmas Trees, Santa Hats, Ornament Balls, and Christmas Backgrounds. Make hand designed Christmas cards for your friends and family with this handy link guide to some great tutorials. The Spanish-Teaching.com/blog is a blog for Students and Teachers of Spanish. The Spanish Christmas calendar is more than worth the trip 🙂 Here is but one of the interesting facts held in this site: “In Spain, it’s January 6th that children receive their presents left by the Three kings (Los, Reyes, and Magos) rather than Father Christmas or Santa Claus.” Nativity scenes are widely used in Spain and often brilliant in design. Christmas4All.blogspot.com is really a 2007 Christmas blog site but very informative. With posts on How to Say Merry Christmas in different languages, Christmas Prayers, and a link to the GatewayToJesus (which houses some incredible Christmas Blog Stories. Link to Thoughts-About-God.com that has a great representation of the Christmas Story with an awesome graphic image to go with this post. ChristmasSprite.com is a Christmas Blog Site full of Christmas History, Traditions, Wallpapers, Games, Lyrics, and much more. The Christmas History includes the First Christmas Card, Christmas at the White House, Chronology of American Christmas, and History of the Ornament. Here is a bit of this history here: In Germany, some people hide a pickle shaped ornament very well in the tree (hidden last) on Christmas morning whomever is the first child to spot this pickle gets an extra surprise gift! ChristmasYuleBlog.blogspot.com: “Cozy up to the fire as a Christmas obsessed music collector chats about new CD’s to his collection, the Christmas music via the web. If you are into Christmas music, take a visit to ChristmasYuleBlog. The Christmas Blog @ Komar.org/cgi-bin/Christmas-blog has an awesome Christmas webcam for a brilliant Christmas Light display. ThisIsChristmas.com for a Christmas Preparation Blog straight from London, England. Also find Christmas Flash Animations, Christmas Music, Decorations, Events, Parties, and much more in and around England. BloggingTips.com to take your blog to the next level with the Festive Toolbar to decorate your Blog for Christmas. A list of Christmas Blog templates for WordPress, Blogger, and some great CSS templates too. Holiday Icons from N-Design Studio as well here, Festive Java Scripts and Effects, and a list of other resources for Christmas layouts, graphics, and effects. The Christmas Wreath Blog at AcadiaWreath.com/blog is a blog all about Christmas Wreaths and other Christmas Traditions. Information on creating a real holiday wreath with branches and other nature items and making a bird wreath to feed the birds. ClausChronicles.blogspot.com with periodic updates from the North Pole here where you still have time to make a Christmas wish or Stay Tuned to Track Santa and log your own Santa Sightings here 🙂 A Q and A (question and answer session) for personal questions and answers that Santa gave about himself! Neato! SantasQuarters.com/blog with Christmas decorating tips, News, Trends, and Gifts. The highlight for me was the Snow picture of New Orleans at Santas Quarters, Why We Hang Christmas Ornaments, A Printable Santas Elf card for your little elves :), Christmas Coloring Pages, Christmas Around the World, and the History of the Christmas Tree. 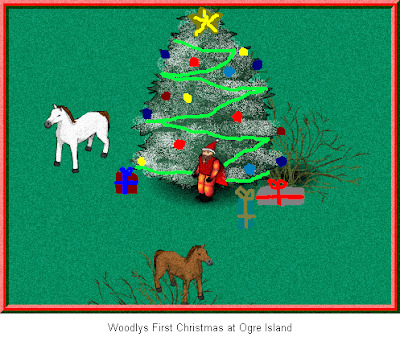 ChristmasSprite : Christmas History, Traditions, Wallpaper, more. Christmas4All.blogspot.com : How to Say Merry Christmas in many Languages, Christmas Prayers, much more. EMail Santa Childrens Hotlines: Teen and Kids Help Lines listed from across the Globe. AcadiaWreath.com/blog/blog.html: Blog about Christmas Wreaths and Other Christmas traditions. SantasQuarters.com/blog: Printable Santas Elf Card, Coloring Pages, History of the Christmas Tree and much more. 2 Awesome Blog Social Networks for Christmas posts, videos, fun, friends, tips, recipes, and much more.